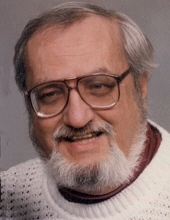 Frederick (Fred) R. Crosby, 85, passed away January 19, 2018 at Clarissa C. Cook Hospice House in Bettendorf. Cremation rites will be accorded with burial at the Rock Island National cemetery at a later date. Quad Cities Cremation Center is assisting the family with arrangements. Fred was born May 19, 1932, the son of Frederick and Clara Argo Crosby. He married Earlene Erickson April 30, 1955 in Moline. Fred was retired from the Navy and served during the Vietnam and Korean Wars. He loved flying model airplanes. Fred is survived by his children; Jim (Thea) Crosby, Santee, CA., Katherine Crosby, Moline, IL. ; Teresa (Larry) Warner, Monroe, N.C.; Doug Crosby, Gresham, OR. ; sisters; Jeannine Hicks, Moline, IL. ; Annette Anderson, Carbon Cliff, IL. ; brother; Bing Crosby, Moline, IL. ; 10 grandchildren; 14 great grandchildren. He was preceded in death by his parents and wife Earlene. To plant a tree in memory of Frederick R Crosby, please visit our Tribute Store. "Email Address" would like to share the life celebration of Frederick R Crosby. Click on the "link" to go to share a favorite memory or leave a condolence message for the family.